Now A Days We All Are Using Windows 8, Windows 8.1 Or Windows 10 In Our PC Or Laptop. So Here I Am Going To Introduce Simple Method By Which You Can Shutdown Your PC Or Laptop Easily. So Follow Simple Steps & Make Shutdown Or Restart Button Easily. First Of All Go To Desktop & Right Click Anywhere. Now Go To New -> Shortcut. Here In The Dialog Box You Have To Enter Just This Command. Now Click On Next Give The Name To Button That You Created Means Shutdown Or Restart. Now Finally Click On Finish. Now You Can See The Shortcut Button Of Shutdown Or Restart On Your Desktop. 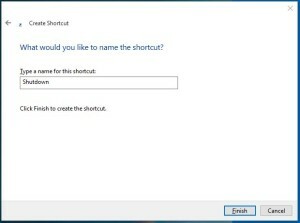 Now Double Click On This Shortcut Button & Shutdown Your PC Or Laptop Easily. You Can Put Shutdown Icon By Right Click -> Properties On It. Now Click On Change Icon & Choose Any Icon You Want To Put & Click On Ok.
Now Finally Click On Apply & Ok.
Now You Can Shutdown Instant & Easily You PC Or Laptop. If You Have Any Problem Regarding This Than Feel Free To Comment.